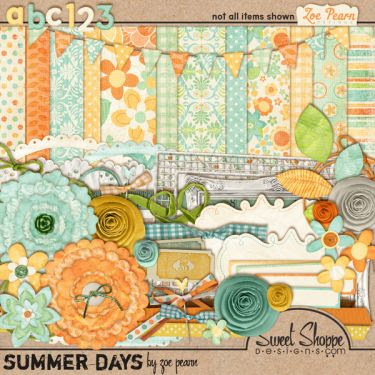 I was hoping to have at least two layouts for you this week but alas I don't. Does anyone else wish there were more hours in a day? I was so excited to be a stay at home not only to spend more time with my kids and be there for them but to also be able to craft. So far crafting has not really happened, but I do have some plans for some fun stuff. Last week I introduced you to Anna Aspnes. I hope you had a chance to marvel at her work. She totally inspires me. This week I want to introduce you to Zoe Pearn. There is something so "me" about her designs. I'm not sure if I've pin pointed it yet but every new kit she comes up with just makes so excited! 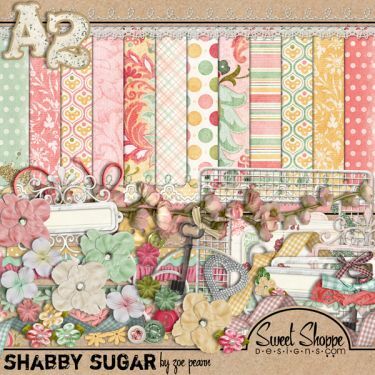 Not only does she offer her digital designs through Sweet Shoppe Designs but she also designs for My Mind's Eye (the paper company) and you can find her blog here. Here are a few of my favorite kits. This is one of my favorite boy kits. I love the felt elements. Her flowers are gorgeous and I love the papers. Here is my layout for the week. 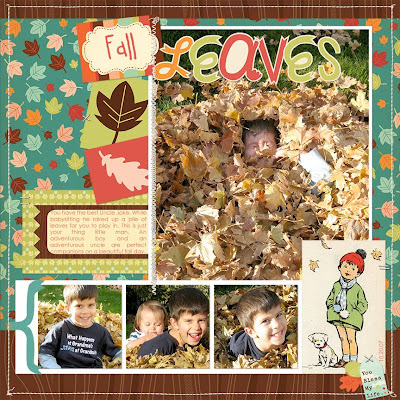 This layout if done using Cosmo Cricket's Nutmeg Kit. You can find it here in the store. Full credits here. Thanks! Have a great Wednesday! Your kids look so little in the pictures! They've sure grown! :o) When your husband becomes a Dr, and you are rich, will you buy me a new awesome computer, so I can do fun things like this?! Ha! Love you!